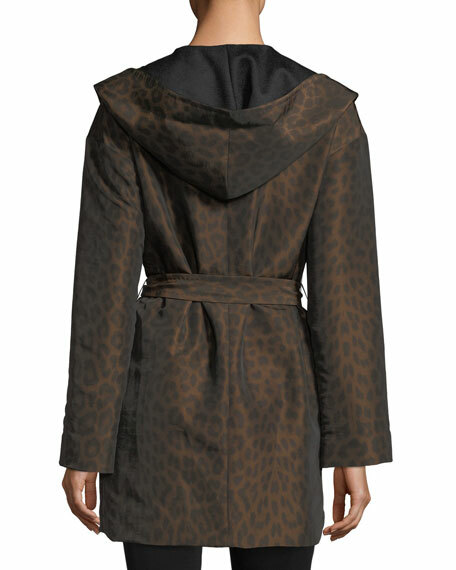 Mycra Pac rain coat with leopard-spotted print. 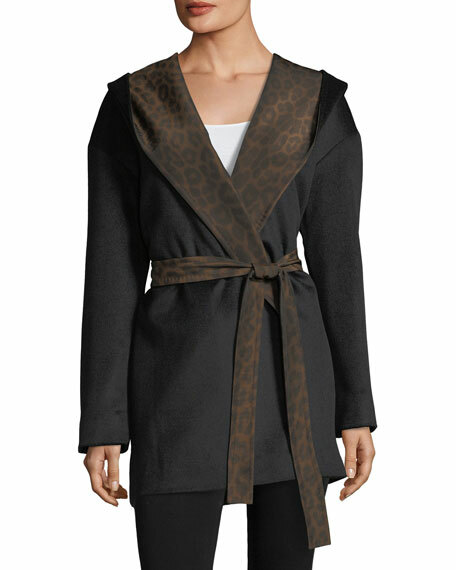 Reverses to solid, wool-cashmere blend. 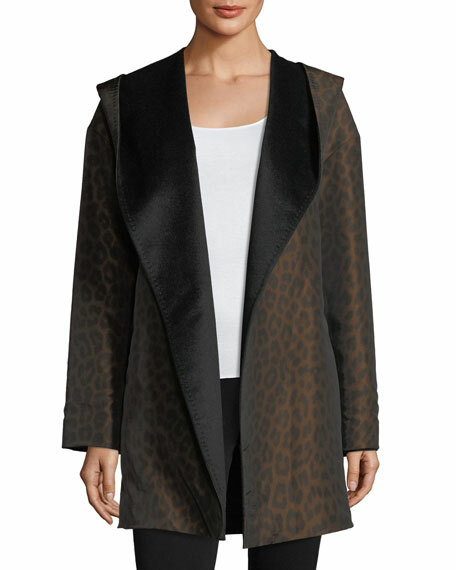 Designed and manufactured in the U.S.A., MYCRA PAC focuses on creating lightweight all-weather coats and jackets made for travel. MYCRA PAC pieces can be loosely divided into three categories that the designer separates into seasonal specialties, absolutes and accessories. MYCRA PAC absolutes feature hoods, complimentary travel pouches, over sized pockets and are fully reversible.